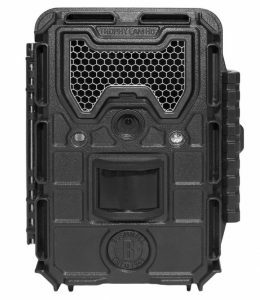 We spent hours researching Bushnell Trail Cameras, focusing mostly on their current 2019 line of cameras. After shifting through hundreds of reviews and looked to see what other experts were saying we have collected that information. We based our ratings on these camera on a number of factors listed below. 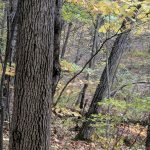 They are in a rough approximation of order of importance about what we think is most important when selecting your next trail camera. Does the camera detect movement well, and what is the range that it detects at? We are not quite as interested in false-positives, but it is something we take into consideration. How fast does the camera react to movement. How many batteries does the camera take? What is the expected lifespan of the batteries? And finally, are there any other options available for powering the camera besides batteries? We aren’t as concerned with high quality photographs, our interest in trail cameras is more out of a curiosity about what animals are present what their behaviors are like when we aren’t there to disturb them. We aren’t expecting National Geographic quality photographs, instead we are more interested how a camera adjusts between night and day photography, and are the night photographs decent. What is the type of flash being used, and what is it’s range? We are also concerned if we can adjust the flash if we aren’t getting the quality of pictures we are looking for. We are using the camera outdoors, does it hold up to the weather well? Can it be easily stolen? People have a lot of questions about using a trail camera for surveillance purposes. We’ll rate if it will suit that purpose. 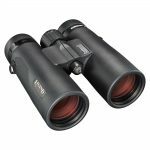 Bushnell have long been one of the leaders in sport optics. They have a great reputation for binoculars and hunting scopes. 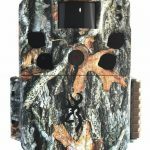 When Bushnell began to release Trail Cameras the results were what loyal fans of the company expected: high quality products that met the needs of the outdoor community. 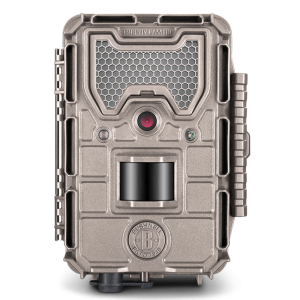 Out of the Bushnell Trail Camera models we looked at the Aggressor 20MP No Glow Flash was the most impressive. 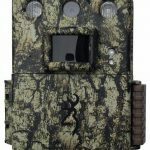 Trail Cameras are battery hogs, no matter what inflated numbers a manufacturer lists for how long batteries last in the real world it will be a lot less. One of the reasons we originally rated this camera so low was because of it’s low battery life. You might only get a month out of a set of 8 AA Lithium Batteries. Depending on what options you use on the camera you could get a longer battery life, but you’ll probably find that you are missing out on the coolest parts of the camera. The good? The video quality is amazing! The bad? You no longer have the ability to choose the length of time you record a video. The camera determines the length of time to film based on movement, which should be great, but it doesn’t always work out well. We liked being able to set the amount of time the videos would shoot for. This particular model also has a black LED “No Glow” flash, which might not be essential but we like this feature a lot. Most animals don’t react to the red low glow flash of other models, but people passing by could notice it. We like the idea of not calling attention to where our camera is. The “No Glow” Aggressor Model has a Flash Range of about 80 feet, which we think is just fine, since the PIR doesn’t detect all that well after 60 feet. You also have a choice between three levels of flash. Not Really, Maybe? Is any camera that isn’t wireless really good for surveillance? Maybe if you are just interested in events happening after the fact. If you want to know if someone has been snooping around on your property then this camera would function well for it. The camera isn’t the most stealth looking, but if you could find a place to hide it, the high video quality and No Glow Flash could make for a good ‘after the fact’ security camera. If you are looking to find out the next day when you check your SD card if someone has been around, then this will work great. If you want to know right away that there is someone sneaking around your property then this camera will be no help at all. 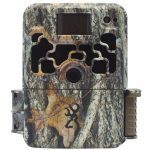 If you are looking for a good, reliable and inexpensive Trail Camera, the 16MP Trophy Cam Essential E3 should have all of the features you need at a price that won’t cause you to have to make a big investment. There are limitations to this camera, and it’s probably best for use on your own property (or at least someplace you can easily travel t0). The motion sensor on the Essential E3 camera functions well at just a little more than half the advertised 100 feet. Most people who use the camera give say that the PIR detector works well till about 55 feet. There are some reviews that so say they got good results up to 80 feet though. What is the area you are looking to scout with this camera? If 55 feet is enough for where you have a feeding plot or it will cover most of your backyard, then this shouldn’t be an issue. The trigger speed for still photographs is around .3 seconds, and 2 seconds for video. For still photos there is around a 1 second delay between between one event happening and the trigger being ready to fire again. This is a little slower than the Aggressor model we reviewed above, but the .05 seconds probably isn’t going to make much of a difference. The only real drawback to the trigger speed on this Trophy Cam is that people have reported there being a consistent 10 picture cycle that registers different trigger speeds for each picture. For most of the 10 pictures the trigger speed averages out to the .3s, with some events being slightly faster and some slower. But for some reason the 10th picture on the cycle shows a sharp decline, with a trigger speed of 2 seconds. Taking between 15 and 30 pictures a day you will probably get between 3 and 4 months out of one set of 8 Lithium AA batteries. Shooting a lot of video and using the Field Scan mode will decrease your battery life. So will using the camera in extreme heat and cold. The camera will do a little to extend the length of the batteries when they are running out by decreasing the length of videos. There are reviews that say that when their batteries are running low they start to have videos of only a couple of seconds on their SD card. The Daytime photo quality is great with this camera. Sharp good pictures with a maximum resolution of 4624×3468, along with an HD mode and an option to take smaller pictures that won’t fill your memory card as quickly. For still photographs there are some concerns with getting whiteout pictures, this could be an issue that can be resolved through some trial and error of different settings, or maybe even moving the camera to be a bit further away from where the animals you are filming pass by. Video offers three different resolution options, and this camera does give you the option to choose your own video lengths. This is a feature that a lot of people missed on the new Aggressor model. This camera has a visible Red LED flash. It works best for illuminating animals (or a person I guess), between 10 and 100 feet. Animals generally don’t react to the low light LED flash, but people will notice it. This model of the Trophy Cam isn’t meant for surveillance. There is an LED light that people could see if they are looking for it that registers when the PIR is triggered. At night the flash will be visible to a person, and will ruin any stealth qualities a surveillance camera should have. Really, the only use this camera would have for security or surveillance is as a visible deterrent, but without a security box the SD card could just be easily taken out erasing any evidence you’d have of what took place. Also the camera itself could be taken with little difficulty. 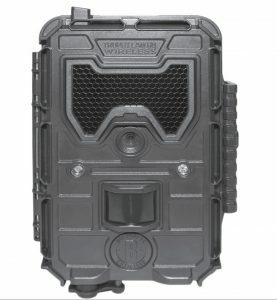 The wireless Aggressor 14MP Trail Camera we don’t recommend. While the overall quality of the camera is similar to the Aggressor 20MP No Glow, the extra cost for the wireless features make this one too expensive for us. The camera has some minor issues that require may require the camera to be manually reset, which isn’t a big deal if you are using the camera close to your home, but if you are using it scout a feeding area far from home this becomes a major inconvenience. The other issue we have with this camera, is you need to make sure that the camera is placed in a location with strong ATT coverage. If you know that you get great coverage where you are looking to place this camera, then disregard most of our problems we have with it. We aren’t a huge fan of only having one choice for wireless connectivity, and there are issues that come up with the camera when there isn’t a good strong signal. Only notifies you of still photos taken by the trigger, no notification or thumbnails of videos or Field Scan photos. This camera needs a lot of batteries. It takes 12 AA Lithium Batteries, and you should expect to only get between one and two months on a set of batteries. With an inconsistent or spotty cell signal you could get even less time from a set of a batteries, since the camera will drain batteries even quicker when it needs to be looking for a signal. The photo and video quality are very similar to the 20MP Aggressor. Even though there is a difference in the amount of megapixels between the two cameras, the results are similar for the two cameras. If you have good ATT coverage in the area you are mounting your camera, then this camera would be a great surveillance camera. We actually are more likely to recommend this camera as an inexpensive security option for a home or business that isn’t located too much in the wilderness (and hopefully then gets a good signal).